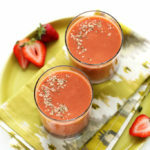 This tangerine tango immunity smoothie is citrusy, subtly sweet, and creamy. 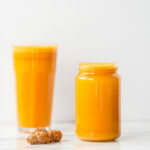 It’s made by blending together juicy tangerines, sweet mango, almond milk, carrot, ginger, and turmeric. Packed with vitamin C and vitamin A, this smoothie is the ultimate winter immunity booster. 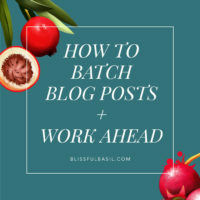 Add a teaspoon of baobab for the ultimate kick of vitamin C! Another week, another vitamin-packed smoothie recipe. 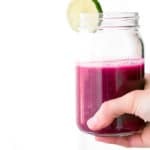 Our collective cravings trend toward vibrant, nourishing foods in January, and smoothies are a great way to load up on feel-good fruits and veggies. My smoothie game was seriously lacking during the last quarter of 2016. Around this time each year, I’m greeted by an almost insatiable citrus craving. 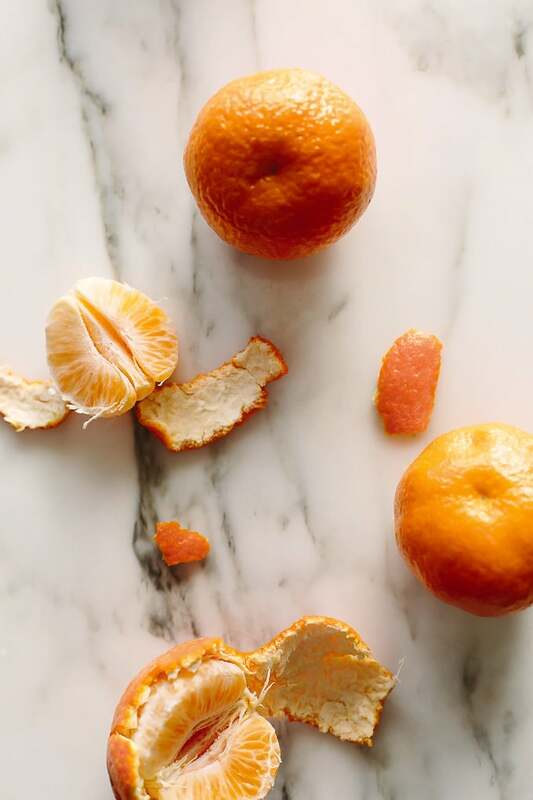 Oranges, blood oranges, grapefruit, clementines, and tangerines radiate their sunshiny glow from the comforts of our crisper drawer, and my little paws can’t help themselves from reaching in for a piece or three each day. Just for kicks, last week I decided to track the number of citrus fruits I ate within the seven-day span. 17. Yes, seventeen. I’m telling you, the craving is fierce. Honestly though, it’s a welcomed feeling after not craving much of anything for a few months (see this post if you’re curious why). Bottom line: that’s a lot of vitamin C.
What’s that? You want some vit. C, too? Happy to hear it. I’ve got your back. 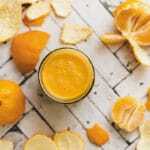 This Tangerine Tango Immunity Smoothie packs a ferocious punch of vitamin C that quenches, soothes, and protects. You might be thinking to yourself, “Yo, Ashley, those ↑ look like clementines, not tangerines.” If you are, you’d be right. Nice job, now shush. As I mentioned earlier, this citrus craving is FIERCE with a capital F-I-E-R-C-E. I tested the recipe with tangerines early last week but by the time I went to photograph it a few days later, I had devoured every. last. one. So, you’ve got clementines here, my friends. The good news? 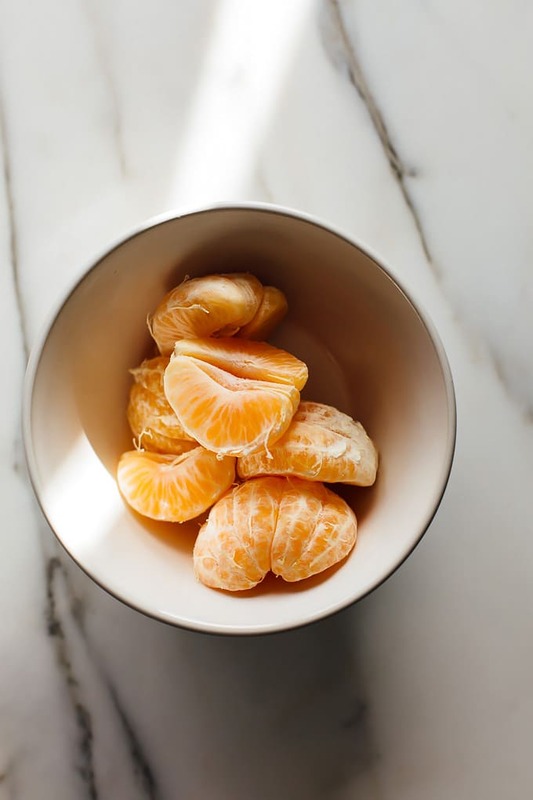 Clementines work great in this smoothie, too. Plus, they offer the added perk of being seedless, so feel free to use whichever you have on hand. See, I’ve got your back. 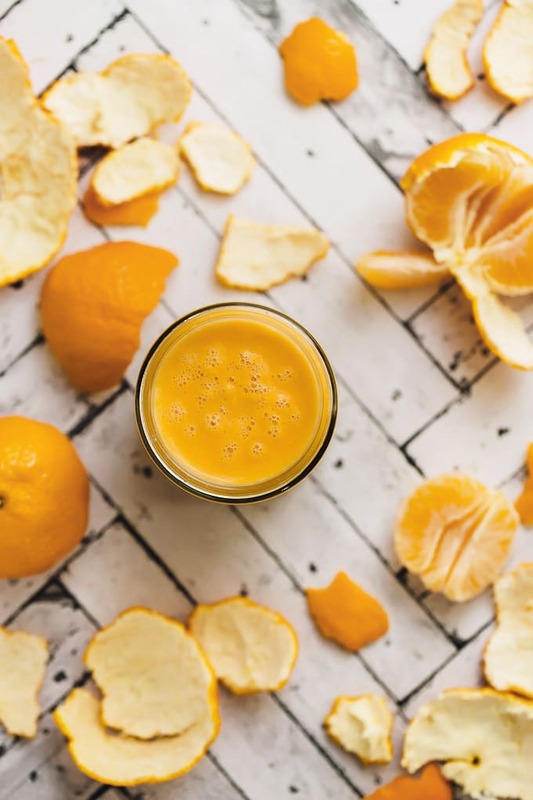 To make this bright and juicy smoothie, you’ll blend together two tangerines (or clementines), one cup frozen mango chunks, a small carrot, a cup of almond milk, a bit of peeled ginger, a teaspoon of baobab powder (optional for a super-charged boost of vitamin C), and a bit of ground turmeric. Again, the baobab powder is totally optional but if you have it on-hand or are looking for an efficient way to nudge your immune system in the right direction, it’s a completely worthy add-in. » Baobab is a fruit powder that comes from the baobab tree. Unlike most superfood powders, baobab isn’t processed at all. Rather, it’s harvested straight from baobab pods in its natural powder form. Pretty nifty, huh? 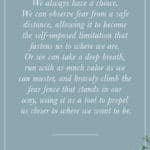 » Best yet? 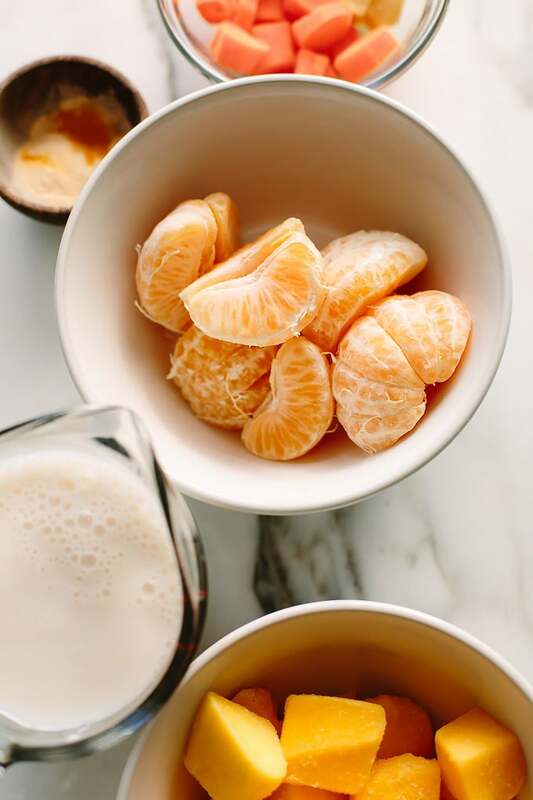 It contains six times more Vitamin C than oranges, five times more potassium than bananas, it enhances energy and alertness, maintains hydration, boosts iron levels in the body, and strengthens immunity. You ask, baobab delivers. You might say it’s bao-bad to the bone pod. I know, too much. Wayyy too much. 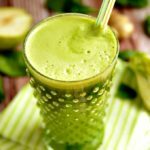 Forgive me, it’s all that vitamin C.
For the record, even if you skip the baobab, you’re still getting a swift kick of anti-inflammatory, immune-boosting goodness from this smoothie. Think vitamin C, vitamin A, potassium, and folate. Plus, it tastes like a sunshiny citrus dream. Double-plus extra bonus: I made a video for you! Enjoy. This smoothie is citrusy, subtly sweet, and creamy. It's made by blending together juicy tangerines, sweet mango, almond milk, carrot, ginger, and turmeric. 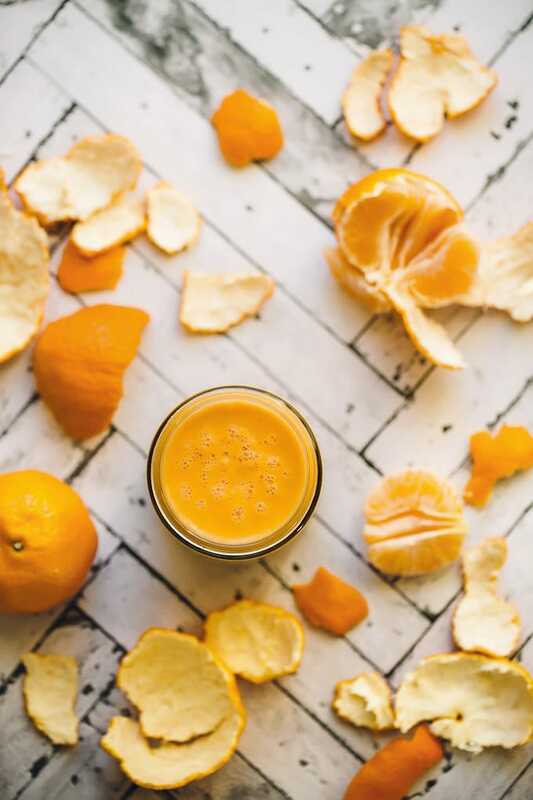 Packed with vitamin C and vitamin A, this smoothie is the ultimate winter immunity booster. Add a teaspoon of baobab for the ultimate kick of vitamin C! 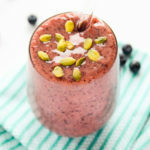 Add all ingredients to a high-speed blender, and blend until smooth. Serve immediately. This sounds amazing, Ashley! I’ve upped my smoothie game this year as well. My go to super foods are fresh ginger and turmeric. I’ll definitely be trying this soon. This looks AMAZING. 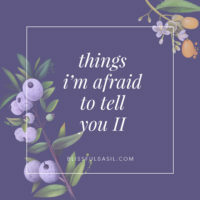 New to your blog, and very happy to be here!! Looks yummy. 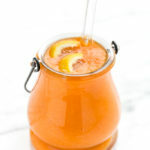 I’ll have to get to the store for some citrus awesomeness so I can make this. Also I really liked the video! I’m currently trying to fight off some serious sneezes. I think this will do the trick! 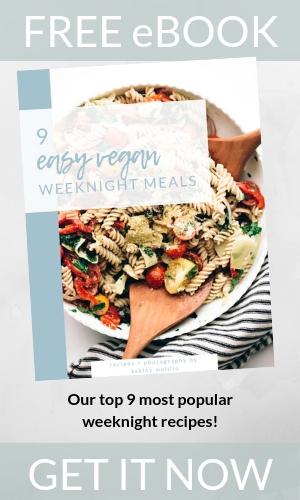 I found this website via Oh She Glows a few days ago and this is the first recipe I’ve tried. Hit all the best notes! Creamy, mellow and sweet. 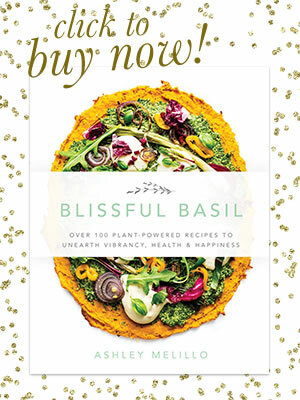 Looking forward to trying many more recipes here! Hi, Christina! Happy to hear you enjoyed the smoothie, and thank you for taking the time to let me know. I’ve been to Malta once before (for a conference)—beautiful, beautiful place!